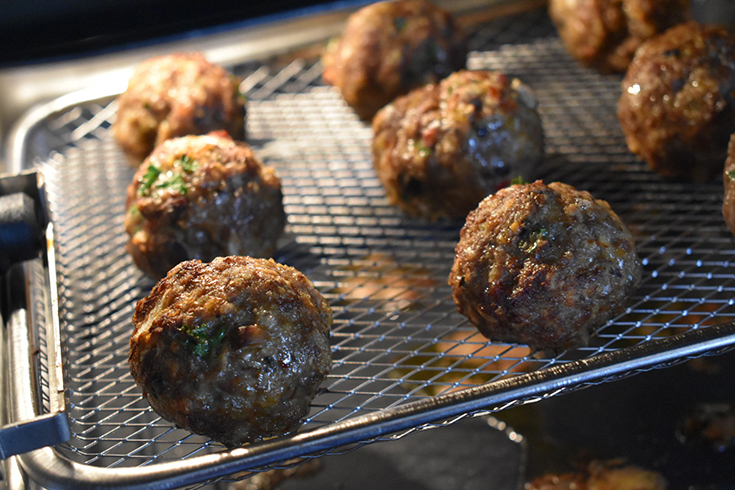 This month for my husband’s birthday I was asked to make homemade meatballs. I was told that I don’t make meatballs that often so that was one thing that he wanted to eat for dinner. 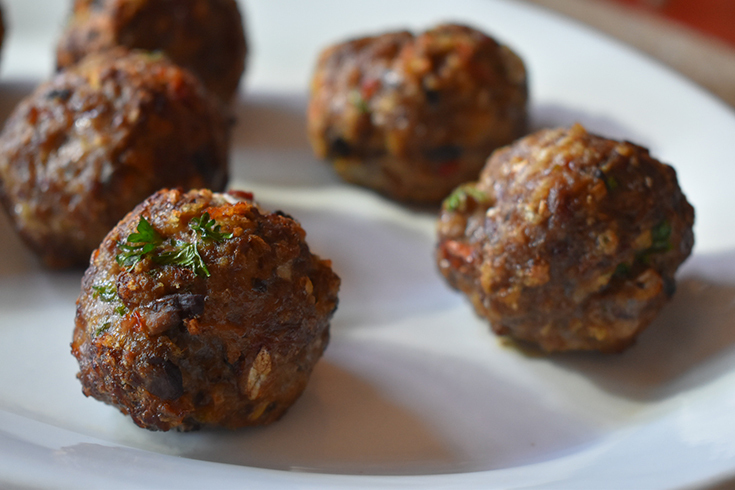 I usually make meatballs in the slow cooker for appetizers with cranberry and chili sauce but he wanted meatballs that he would be could eat with noodles and sauce. 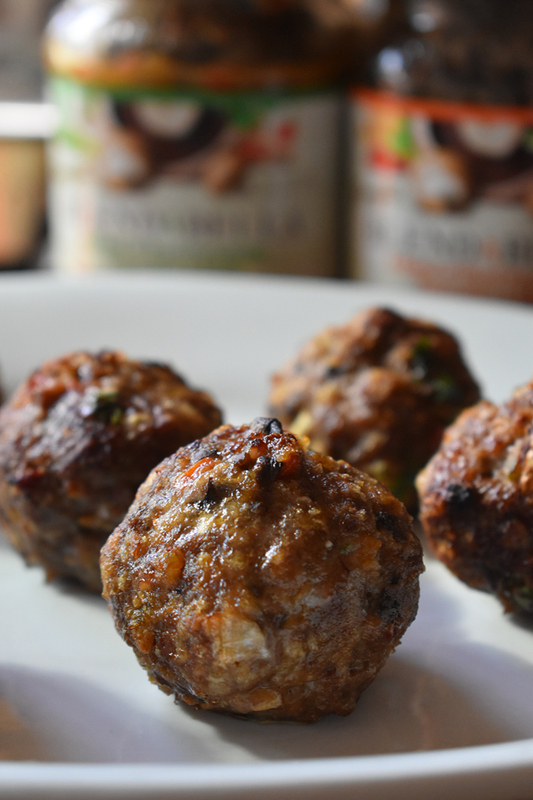 Since I signed up to enter the Blendabella Blogger Recipe Contest I decided I was going to make some tasty and flavorful meatballs using ground beef and the Blendabella Portabella Mushroom Blends! I was also going to use my air fryer because lately I have been preferring to use that instead of my oven that tends to heat my house up when I use it. Plus using my air fryer cuts down on the cooking time too! When it comes to mushrooms, I LOVE them! Since not everyone in my family enjoys them as much as me there are times when I will incorporate them into my meals and they don’t even know. 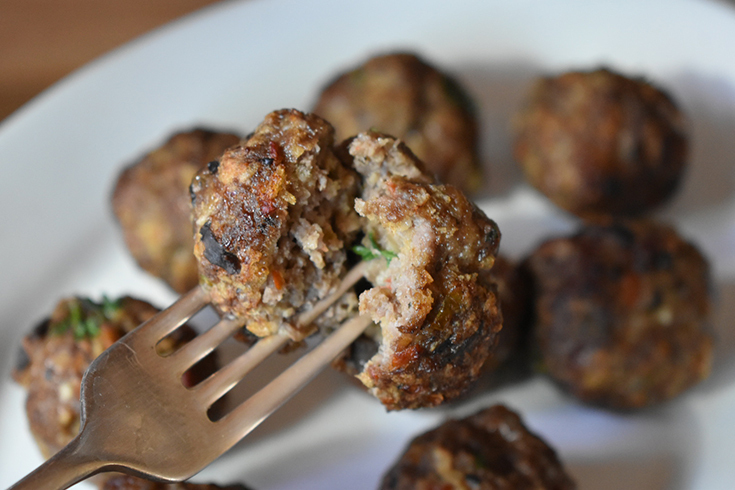 For the the recipe challenge I decided to make meatballs because I knew these would be a perfect way to incorporate mushrooms into something that everyone would enjoy, even if they didn’t know exactly what ingredients were in my meatballs. 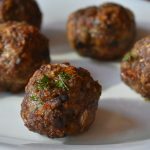 I ended up with the most delicious meatballs I have ever made using some of the Rustic Tuscan blend which has a mixture of Portabella mushrooms, onions, green peppers, red peppers, garbanzo beans, sun dried tomatoes and more which made these meatballs soooo good! 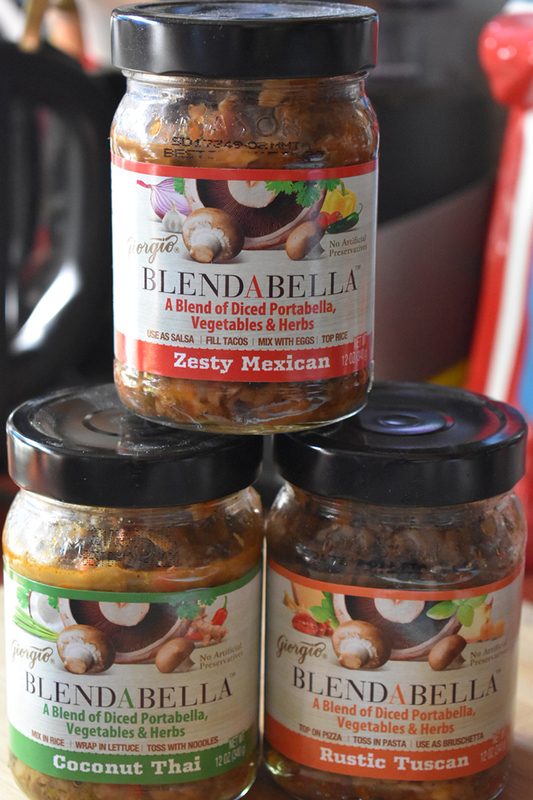 Blendabella Mushroom Blens lets you find new ways that you can enjoy Portabella mushrooms in and on your meals! 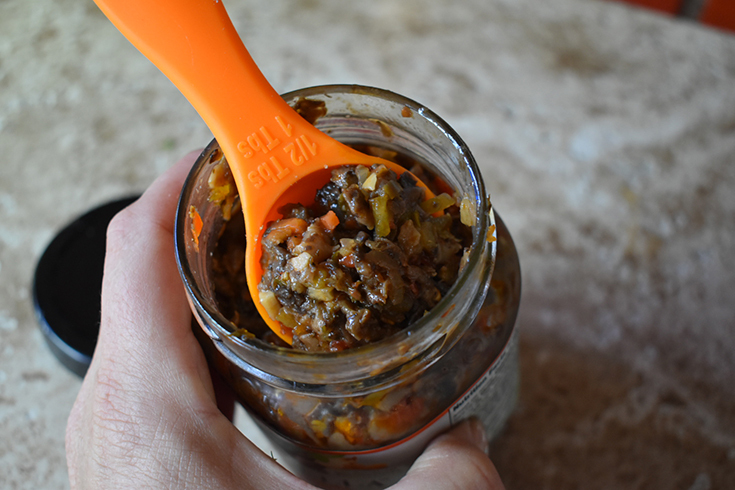 You can use it on pizza, on toast, in soup, on eggs, in salad and so much more. 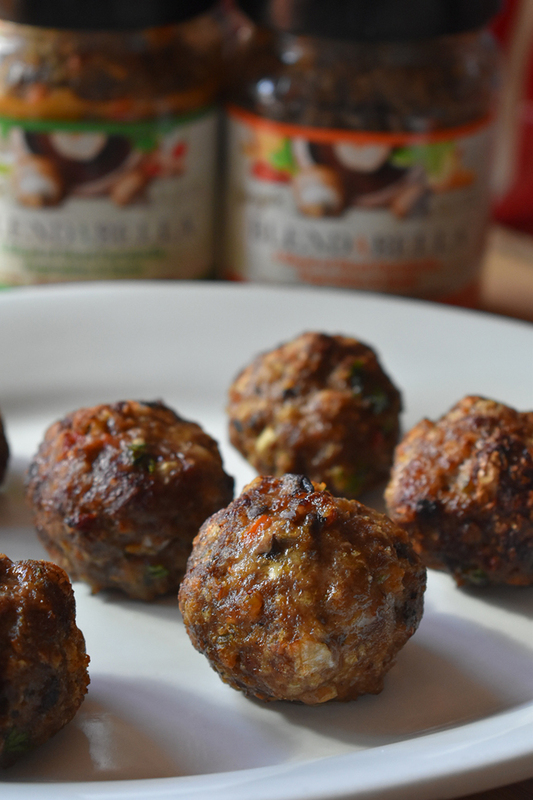 Giorgio’s Blendabella Portabella Mushroom Blends easily transform any everyday recipe into a rich and flavorful experience. They combines many of the benefits of fresh, quality mushrooms and deliver them in three regional flavor options that include: Zesty Mexican, Coconut Thai, and Rustic Tuscan. These are PERFECT to use if you like to eat spaghetti and meatballs but they are also just as good eating them alone! 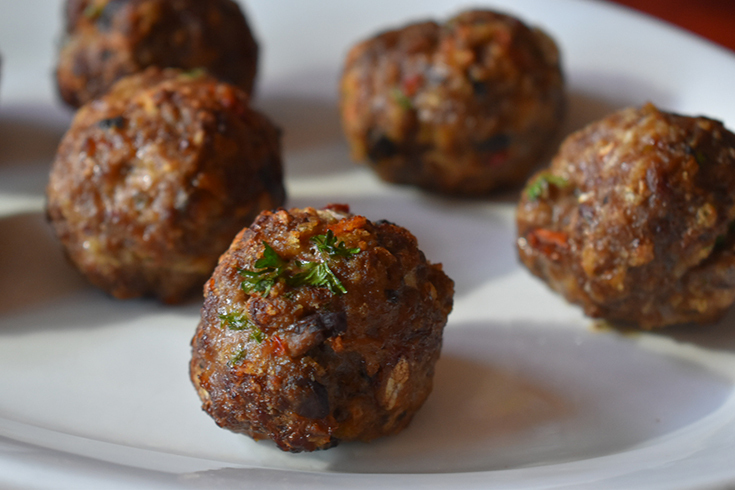 If you use the Rustic Tuscan blend you might even get some garbanzo beans in your meatballs. 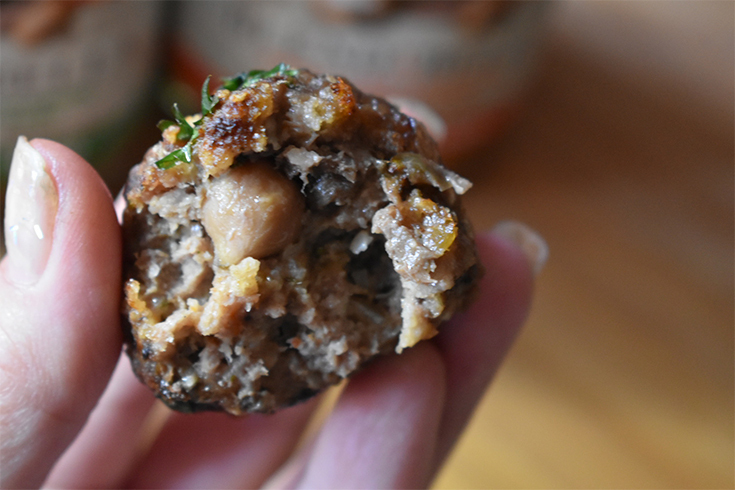 I mixed the Blendabella mushroom mixture with the ground beef so the meatballs where full of flavor but I also made some of these stuffed with cheese! 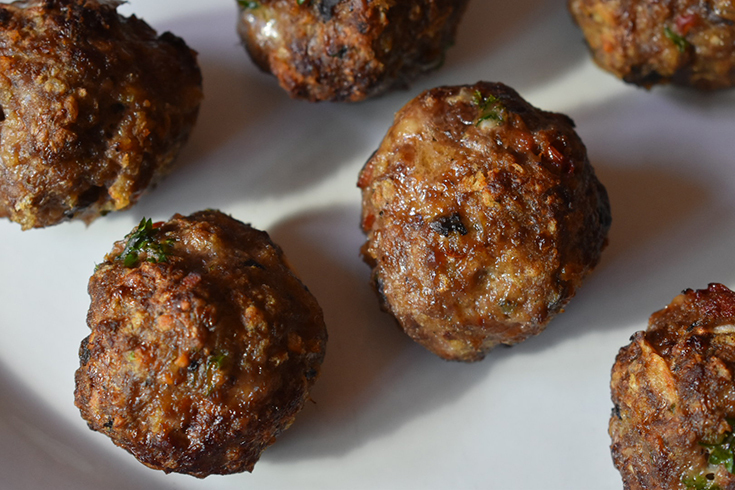 This is where you can get even more creative with your meatballs! In a bowl add the ground beef, mushrooms, onions and parsley. Use a fork and mix lightly to blend in with the beef. Add egg, salt and pepper. Stir for about 5 seconds to mix egg into meat. Add Panko bread crumbs and mix until bread crumbs are no longer dry. Roll mixture into 2" to 3" inch balls and place on air fryer tray. Cook at 350° in your air fryer for 20 minutes. Remove and allow to cool for a couple minutes. Serve alone or with maybe with some noodles or rice!